Tempe was one of the 58 cities visited by one of two touring bands representing Mannheim Steamroller during this holiday season. We continued to celebrate the twelve days of Christmas by attending the matinee performance at the Gammage Auditorium. The talented musicians play a fusion of rock, jazz, and classical music influenced by heavy use of synthesizers and percussion. During the first set, the light show and small screen video added to the updated Christmas classics. After the intermission, the video took center stage by literally filling at least two-thirds of a stage screen and extending to both sides of the auditorium walls as the musicians performed mainly madrigal tunes. An upbeat, entertaining afternoon. On Boxing Day we treated ourselves to a membership in the Phoenix Zoo. It was also an opportunity to test drive a new camera, a Canon PowerShot SX200 IS. This 12.1 megapixel camera with 12X optical zoom allowed me to fill the screen with close-up pictures. 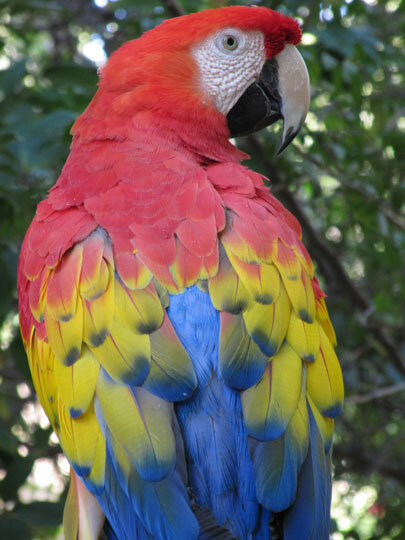 A colorful pair of scarlet macaws were in the Forest of Uco. A masked lapwing was seen along the ground in the aviary off the Tropical Trail. Three orangutans, like so many of the captive residents, were active. The aldabra tortoise was eating while his neighbor, the Galapagos tortoise, was sunning himself. The otters were playful. It was fun to explore this zoo. An October 2007 biopsy confirmed prostate cancer had gained a hold in my body, as it does in one out of every six men. After two years of monitoring my psa through “watchful waiting,” I decided that it was time to take action. 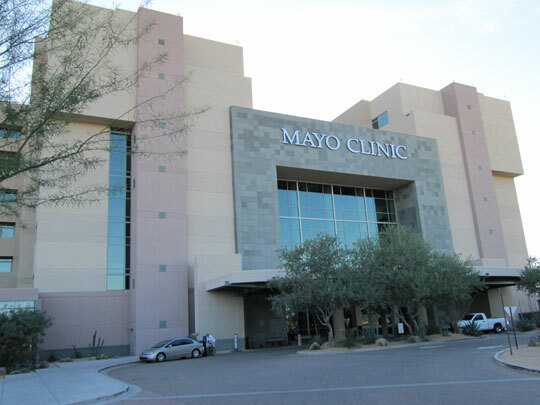 On December 1, 2009, Dr. Robert Ferrigni, chair of the Urology Department, successfully performed robotic radical prostatectomy on me at Mayo Clinic Hospital in Scottsdale, Arizona. Fortunately, the cancer had not spread beyond the prostate. After an overnight hospital stay, I was sent home to begin the recovery process. My body, recognizing the trauma of surgery and missing an organ, screamed out with gurgling and gas. For eight days a catheter simplified urination albeit with a constant uncomfortable pinch. Now I’m walking daily, although at a slower pace, eating balanced meals and getting plenty of sleep. During this Christmas season I’m reflecting on the many blessings bestowed upon my life to date and hoping for a cancer free Happy New Year!